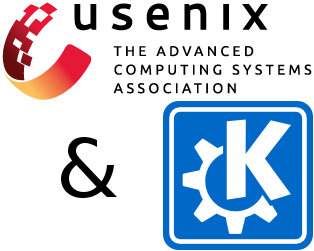 2016 is a special year for many FLOSS projects: KDE has its 20th birthday while Free Software Foundation Europe and VideoLAN both have their 15th birthday. All these call for celebrations! This year KDE has come together with Qt, FSFE, VideoLAN and KDAB to bring you QtCon, where attendees can meet, collaborate and get the latest news of all these projects. KDE will have an exhibit in the Expo at the upcoming LISA (Large Installation System Administration) Conference. The full conference takes place November 8 ‒ 13 in Washington D.C. The Expo is open on the 11th and 12th. There is no charge to attend the Expo. KDE Sprints - who wins? We are raising money to support KDE sprints. People have asked legitimate questions about those funds—who gets the money? Who benefits? Read more about KDE Sprints - who wins? Many of you already know that FISL (The International Free Software Forum) is one of the biggest FLOSS conferences in the world. From 8 to 11 July 2015, 5281 free software passionate people met in Porto Alegre (South Brazil) for the 16th FISL edition, enjoying activities such as talks, panels, hackathons, workshops, and community meetings. All kinds of FLOSS-related topics were in place: development, translation, artwork, education, robotics, entrepreneurship, audio-visual, women and gender, politics, academia and research ... Phew! Video recordings of the Akademy talks are now available in a low quality version to enable them to be released quickly. Higher quality version will be available later. Following the weekend of talks inspiring and informing the community, the focus shifted today to working on details. The day today started out with showers of water drops as the late comers to Akademy waded their way amidst raincoated cyclists and residents of A Coruna sheltering themselves underneath coloured umbrellas.